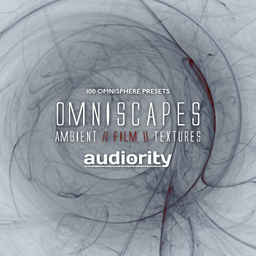 Omniscapes by Audiority is Soundware (e.g. samples or presets that load into other products). Omniscapes is a new Omnisphere soundbank featuring 100 new drones, textures and soundscapes designed for Ambient, Film, Soundtrack and Underscore. Rhythmic Amp Gate adjustable via Mod. Wheel on all presets.